Roland Pemberton ; Laura Broadbent ; Ashley Opheim ; Ali Pinkney ; Jay Winston Ritchie ; Matthew E. Duffy. Ashley Opheim is the author of the poetry collection ‘I Am Here’. She lives in Montreal, where she is the founding editor of Metatron and co-director of the reading series This Is Happening Whether You Like It Or Not. She can be followed on Twitter @hologramrainbow. 1 – When did Metatron first start? How have your original goals as a publisher shifted since you started, if at all? Metatron has roots in a publishing press Guillaume Morissette [New Tab, Vehicule Press] and I helped establish at the end of 2010 called Ribbon Pig. We were responsible for curating the written content for the first two issues. Guillaume and I were both enrolled at Concordia University at the time and had friends within the program whose writing we were interested in publishing. In total we published work by 18 different writers [not all students], including two writers who are now published with Metatron [Laura Broadbent and Roland Pemberton]. Although I feel Ribbon Pig was fairly successful, we ultimately didn't have much control over the project, which is something I craved. Guillaume and I both retired from the project after two issues to focus on our own writing and our reading series. While we were working on Ribbon Pig, Guillaume and I became interested in organizing readings amongst peers. I quickly coined the event This Is Happening WhetherYou Like It Or Not [TIHWYLION], as a cheeky jab at the typical boringness of readings. The reading series was initially a ploy to get all our favorite writers in a room together outside of the classroom to read from their work in more of a casual environment. TIHWYLION has been an integral aspect to building Metatron. Our first six books are from writers that are integral to the community that has grown around it, and who are frequent readers at our events. My original goal with Metatron was pretty simple: to publish a few books by local writers that influenced and inspired me. I think that these books are the best things I’ve manifested so far on Earth. My motivations and goals are still very much in line with my initial intentions. 2 – What first brought you to publishing? My love of writing and of community brought me to publishing. I was exposed to lots of great writing both in and outside of my creative writing program, but didn’t see any Montreal-based presses that were desirable to be published by or accessible to young poets. I was unemployed at the time of starting the press and deeply wanted to do something meaningful with my time and energy. I guess Metatron is kind of like a 2-in-1 dream publisher/ dream job deal. It is a press I would want to be published by if I wasn’t the E.I.C. of it. 3 – What do you consider the role and responsibilities, if any, of small publishing? The role of small [literary] publishers is to understand the value of literature and to carve out a space in society for it to exist and thrive in. 4 – What do you see your press doing that no one else is? Metatron is publishing some truly exciting, innovative poetry in Montreal right now. 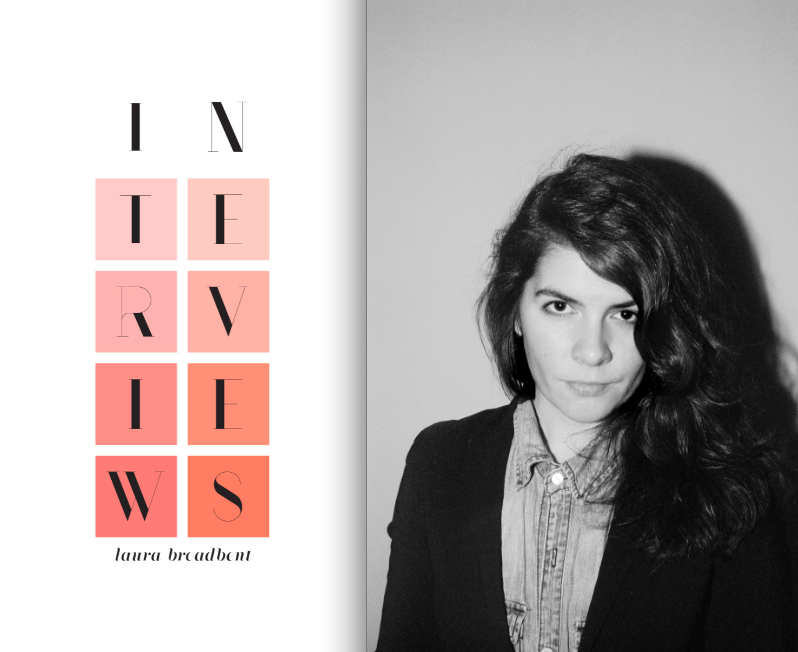 We are the only English press in Montreal (as far as I’m aware) that has a strong focus on poetry by young writers. 5 – What do you see as the most effective way to get new books out into the world? 6. How involved an editor are you? Do you dig deep into line edits, or do you prefer more of a light touch? Over the course of a year I coaxed the writers into the idea of finishing a manuscript and followed up with them until I had enough pieces to work with. It depended on the writer I was working with on how much coaxing and editing their work needed. Some needed more work than others; some needed hardly any at all. All of the Metatron poets consciously made decisions about their work that I respected and didn’t want to skew, so I just focused my attention on making their decisions as consistent as possible for each manuscript. I also did the layout, typeset and design for all the books and worked with various artists for the covers. 7 – How do your books get distributed? What are your usual print runs? We are currently selling our books at two locations in Montreal [Drawn & Quarterly and Argo Bookshop], online and directly via my self and the authors. We did a first print run of 100 for each book and are now working on second print runs. 8 – How many other people are involved with editing or production? Do you work with other editors, and if so, how effective do you find it? What are the benefits, drawbacks? Metatron is currently a collective of 6 artists and writers. The Metatron books are my personal project, but the others help me coordinate cover art, author photos, event planning and provide me with friendship, encouragement and support. When Metatron was first established we tried to create one publication we could all participate in creating, but we found that very challenging since we’re all very independent and had already established our own projects that we were devoted to. We eventually altered our mission to individually focus on separate publications, but to remain committed to helping one another in whatever ways we found necessary. The other publications that we consider part of the Metatron catalog are currently Weijia Quarterly [a writing and arts quarterly] and The Editorial Magazine [a contemporary art magazine]. 9– How has being an editor/publisher changed the way you think about your own writing? I can’t say that it has changed the way I think about my own writing, but I do think that my being a writer has changed the way I approach my role as editor/ publisher. 10– How do you approach the idea of publishing your own writing? Some, such as Gary Geddes when he still ran Cormorant, refused such, yet various Coach House Press’ editors had titles during their tenures as editors for the press, including Victor Coleman and bpNichol. What do you think of the arguments for or against, or do you see the whole question as irrelevant? One of the Metatron titles is in fact my own. I feel confidant about self-publishing and don’t have any problems with it. Self-publishing puts you in a vulnerable position, as you are the only person who is standing behind your work. I'm ok with this, but I don't think it's for everyone. 11– How do you see Metatron evolving? We are currently aiming to add 4-6 new books to our catalogue by September 2014. I have a couple of writers in mind that I am currently gathering the courage to request a manuscript from, and a couple writers I am considering who reached out to me with manuscripts to review. I also want to ask some of the Metatron poets to do second books. 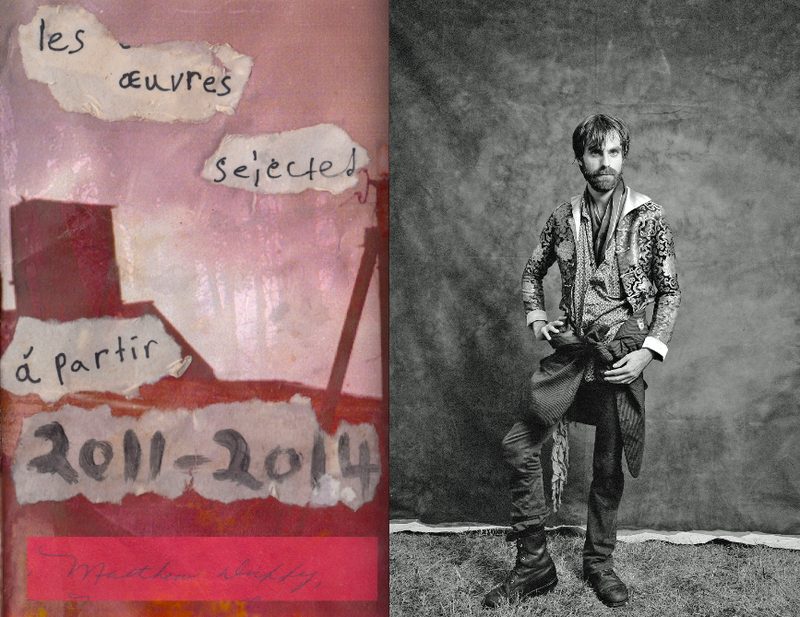 Guillaume and I have ambitions to throw three TIHWYLION readings over the spring/summer. We want to explore outdoor readings this time around and continue to give new writers a chance to share their work. I can see Metatron continuing to evolve organically. I don't want to force publications out for the sake of having them out, but I do want to continue to motivate writers to consider their work worthy of publication and inspire them to put together manuscripts. I hope we can grow our catalogue and create a sustainable business model to ensure there is a place for the publication of innovative, English poetry books here in Montreal. Eventually I would love to purchase some printers and begin producing the books and sister publications our selves. The ultimate dream is to have a small space that we can operate out of, throw readings at and distribute books from. There is a place in New York City called Mellow Pages that I am very interested in modelling the space around. It’s a not-for-profit library, with a strong focus on community, readings and small press distro. 12– What, as a publisher, are you most proud of accomplishing? I am proud that these are books are almost sold out of their first print run! 13– Who were your early publishing models when starting out? Early publishing models were based around the impressive publications I witnessed popping up in Montreal between 2012-2014. The projects that Metatron members were creating and nurturing were inspiring to me. What Sarah Brunning [and Sonya Mandus] were doing with Weijia Quarterly and what Claire Milbrath and Rebecca Storm were doing with The Editorial were models that I viewed as successful. Trapshot Archives, a Montreal-based literary press run by Jack Allen, was another inspiration of mine. All these publications definitely paved the way for Metatron and set the bar high for quality of content and visual aesthetic. I was also inspired by the energy of presses like New Directions and City Lights. Inspirations aside, I’m trying to approach Metatron with a fresh mind and with no preconceptions about how publishing is or should be. I am open to exploring and defining new publishing models. 14– How does Metatron work to engage with your immediate literary community, and community at large? What journals or presses do you see Metatron in dialogue with? How important do you see those dialogues, those conversations? We are definitely in touch with the other literary communities here in Montreal. I try and make it out to readings and launches as often as possible to show my support and to hear new voices, and I think that’s true for many people in the community. I tend to see a lot of the same people out at readings and launches. There is definitely a support network that exists between all the reading series and small presses. I think that’s a beautiful thing, but I am also consciously trying to create an environment around Metatron that doesn’t have a fixed audience, or necessarily a literary one. This is something I think that TIHWYLION has been very successful at. Guillaume and I are always amazed at how we don’t know like 60% of the people who come to our readings. We love that. We want to be able to connect with other, non-literary communities too. 15– Do you hold regular or occasional readings or launches? How important do you see public readings and other events? Our readings aren’t typical of what the average person would expect from a literary reading at a local library or coffee shop. Guillaume and I make an effort to make our events fun, radical and appealing to non-literary types. We aim to create an environment where people feel free, lucid and open to express them selves in non-traditional spaces. Most of our readings happen late at night, usually starting around 10 p.m. and last until the wee hours of the morning with the help of live bands or djs. We’ve hosted readings in grungy, illegal lofts and old bathhouses. We were actually kicked out of our Metatron office for the one reading we threw there to celebrate our first publication due to noise complaints. Once we organized a writing marathon in some friend’s basement and encouraged a collaborative writing jam by passing notebooks and computers around. That night there was a live Theremin and cello duet that played. We’ve had writer friends from the Internet read at our events via Skype, a projector and some speakers. We hosted Steve Roggenbuck, a well-known Internet poet, at one of our events, which was followed by an acid techno dance party. There have been readings where we’ve struggled with keeping the audience quiet enough to allow the readers to read, where the smoke has been so palpable it’s mere impossible to see the readers from the back of the room. And amongst all this chaos, we have been able to create a space where close to 50 readers have been able to share their feelings and thoughts casually with a receptive audience. I’ve seen and heard some crazy, unforgettable stuff! We have a loft reading happening at the end of this month and another reading at Drawn & Quarterly planned for June 13 [Friday the 13th!]. Readings are very important to Metatron. They are the backbone of the press. 16– How do you utilize the Internet, if at all, to further your goals? Aside from creating the online shop, I haven’t placed too much energy in establishing a community online for Metatron. Eventually I would like to have a beautiful web site with a roster of authors and a regular blog featuring writing, audio recordings, videos of readings and other stuff—but good things take time. Right now I’m happy focusing on things outside the Internet. When we’re ready to grow an international audience, then we’ll turn to the Internet. 17– Do you take submissions? If so, what aren’t you looking for? If someone wants to be published by Metatron, I recommend they reach out to either Guillaume or I about reading at one of our future events. It’s important to me that who I publish is involved and active in the community and making an effort to make their writing heard and relatable. I believe that taking part in local readings is the best way to create visibility and interest around ones work. 18– Tell me about your most recent titles, and why they’re special. I strongly suggest all of our books. You can learn more about them via our web shop, which includes book descriptions and author bios. Magnetic Days is really wonderful. 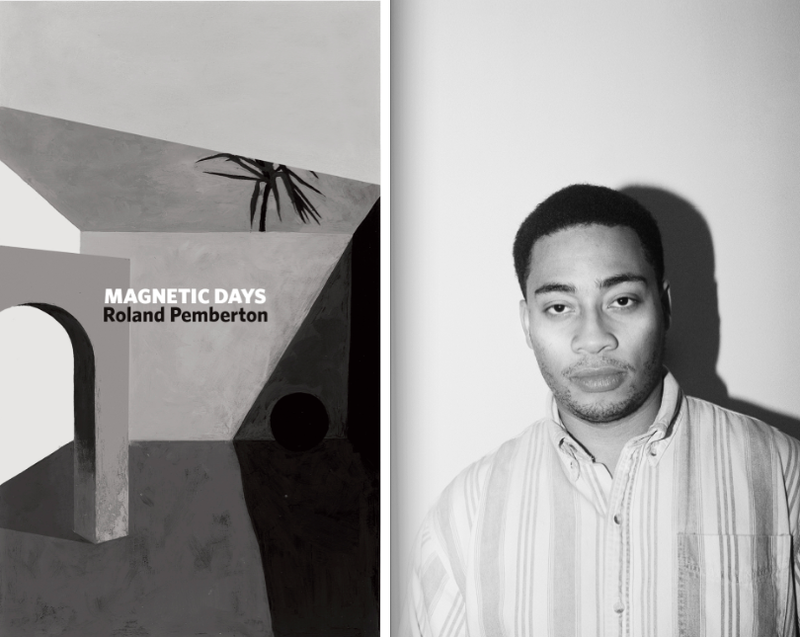 It is special because it’s written by Roland Pemberton who is a famous rapper and a former Poet Laureate! 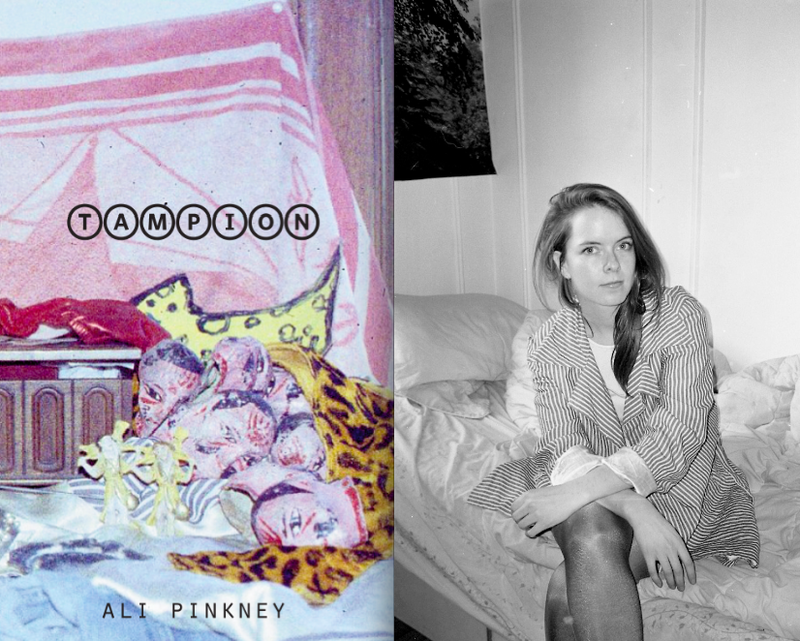 Tampion by Ali Pinkney is really wonderful. It is special because it’s written by Ali Pinkney and features a scene with an Ouija board! Les Oeuvres Selected is really wonderful. It is special because it’s written by the craziest, most prolific artist I know! I Am Here is really wonderful. It is special because it’s written by me! Interviews is really wonderful. It is special because it’s written by Laura Broadbent and features interviews with dead people! How to Remain Perfectly Indifferent While Cryingon the Inside is really wonderful. 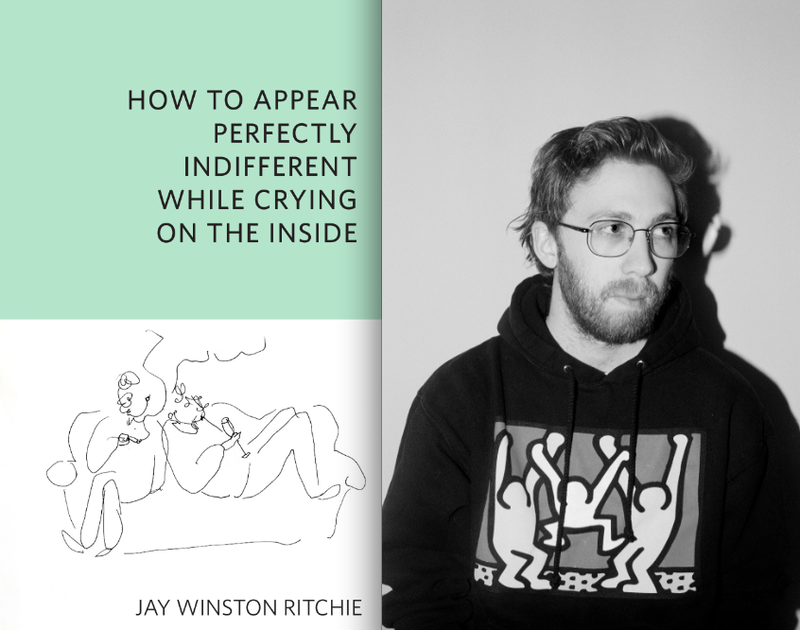 It is special because it’s written by Jay Winston Ritchie and has a really long title!